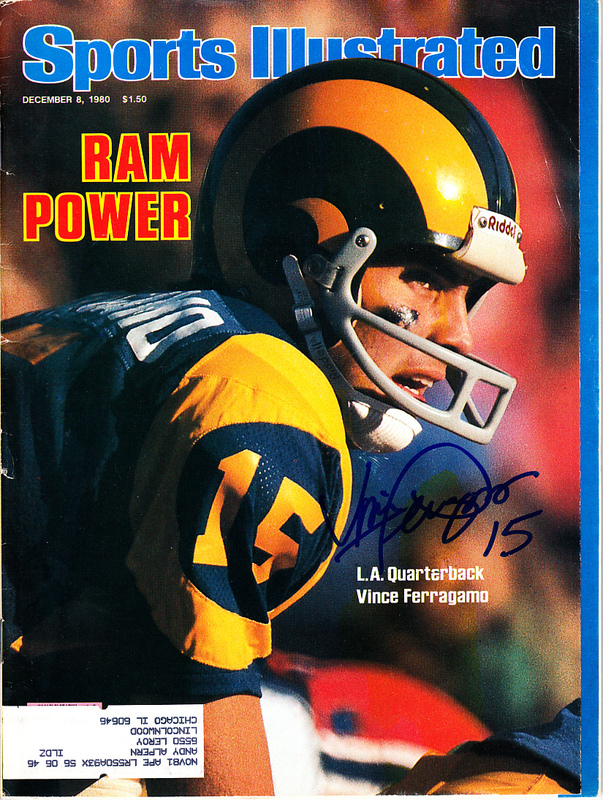 Complete 1980 Sports Illustrated autographed in blue marker by former Los Angeles Rams star quarterback Vince Ferragamo, who led the Rams to Super Bowl 14. Obtained in person. With certificate of authenticity from AutographsForSale.com. 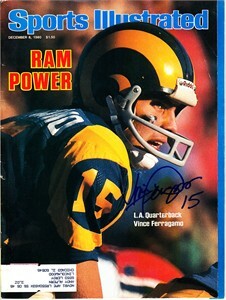 Has subscription label and minor flaws/wear. ONLY ONE AVAILABLE FOR SALE.